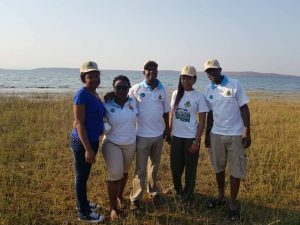 Radio personality Elder Skwilla was hosted by Zimparks at Kariba for yet another successful Kariba Invitation Tiger Fish Tournament which took place on the 10th, 11th and 12th of October 2018. The 57th edition of The Kariba Invitation Tiger Fish Tournament (KITFT) was massive. It boasted of a remarkable huge growth in the number of teams who participated in this years tournament compared to the previous year.